Neo-victorian London is a city of smog and death. Its streets filled with the detritus of humanity stuck to a culture centuries old. It is in this city that four of its residents begin their search for answers. An answer that began with the death of a brother and may end with the death of an entire city. 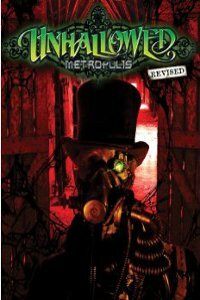 Unhallowed Metropolis is published by Atomic Overmind Press. Support Fandible by purchasing through one of the links below.